As football season begins to ramp up, an estimated 24.3 million Americans will be dedicating time to maintaining their fantasy teams, many during business hours. 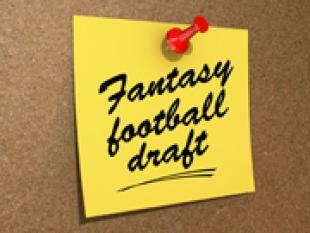 Surveys have shown fantasy players spend an average of one hour updating their lineups during the workday, which can equate to around $6.5 billion in wages paid by employers to play fantasy sports. Before you bring down the hammer on employee fantasy time, take a look at a 2012 survey by Challenger, Gray & Christmas. The survey shows hours used to play fantasy sports do not impact workplace productivity. In fact, a complete ban on fantasy sports could do more harm than good. A ban has the potential to reduce morale and company loyalty–much longer terms issues than the 10 to 20 minutes lost due to fantasty team management. According to a survey by Ipsos, 40 percent of respondents believed participation in fantasy sports was a positive influence in the workplace. Another 40 percent believed that fantasy sports increased workplace camaraderie. Twenty percent of respondents said that involvement in fantasy sports helped them to make a valuable business contact. This year don’t restrict fantasy league play–make it an office affair! Fantasy sports can be used as a team-building activity to boost company morale, as well as get departments talking to one another. Pair up your R&D team with your marketing team or to get your finance team to compete with your IT department through inter-department leagues. Giving your employees a chance to play, promotes an innovative atmosphere, relieves stress and builds a great team atmosphere. If your employees are in a league together it gives them something to bond over outside of work. Does your company support fantasy leagues at work? Tell us your story!